Nebraska Recruiting: OLB Help Already Being Developed? On Monday, Nebraska lost a battle on the recruiting trail that it wanted to win. Outside linebacker Steven Parker‍ chose Kansas over the Huskers and Texas Tech. 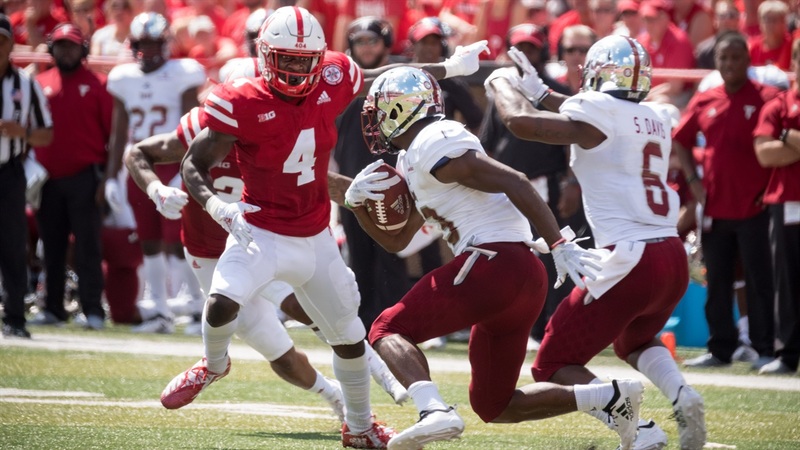 Missing out on outside linebackers has become a sore spot for Husker fans, but I’d make the case that the immediate pass rush help is already in Lincoln. Despite the temptation to jump right to the younger players, don’t overlook senior linebacker Tyrin Ferguson. When healthy, he was productive. The 2019 season could be a big one for him. I asked outside linebackers coach Jovan Dewitt what he looked for in an outside linebacker last spring. He gave a detailed answer that just may remind you of two other players already on campus. “There really two different profiles. Outside linebacker is a little weird,” Dewitt said. “There is the guy that has always had their hand in the dirt, that’s been a WDE on whatever recruiting website you are looking at. He’s been really good at pass rush. So, does he have the quick twitch ability in space? Or you look at a guy who has been at a safety spot. 6-2, 6-3 and 200 pounds. Maybe he’s not really a Big Ten safety. Maybe he’s really a guy that could roll down and be the strong safety which is really what outside backers are now. The guy who has been at the safety spot and could roll down to outside linebacker sounds a lot like JoJo Domann (who did exactly that for the defense last season). The former “weakside defensive end” that is long and athletic? That sounds just like Caleb Tannor. Remember that Domann will be a junior this upcoming season and Tannor enters his sophomore season. Both players will benefit a great deal from a full offseason of strength and conditioning work with this staff. Everyone wants the next big thing in recruiting but sometimes, the help you are looking for is already being developed on the roster. >> Former Nebraska running back commit Thomas Grayson has found a home. He committed to Kansas State. >> Priority 2020 offensive tackle target Turner Corcoran posted a messaged about his time at Junior Day. >> Former Nebraska quarterback Zac Taylor was named the head coach of the Cincinatti Bengals. >> International volleyball is returning to Lincoln. >> Check out the photos from the Frank Sevigne Track & Field Invite. >> Jacob Padilla’s high school roundup looks at a big week for Nebraska hoops recruits.